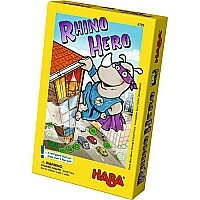 All of the HABA products are caringly designed at our world headquarters in Bad Rodach, Germany. The majority of our wooden products are manufactured at our facility using the highest quality beech and birch wood products. HABA is ISO9001 certified and was the first toy company in Germany to voluntarily have its toys tested by a third party laboratory. HABA uses wood from sustainable forests and has received the PEFC certification. Our colors are achieved by solvent free lacquers. Most of our fabrics are manufactured in CHINA using our wholly owned textiles. In fact HABA maintains a staffed office in China who personally oversees the quality production from contracted facilities. The Habermaass Corp. is a family owned organization that truly cares about producing quality, innovative, heirloom products for children and families. We also distribute 2 additional European Specialty lines: Moover – a Danish design, flat packed wooden prams and ride on toys. 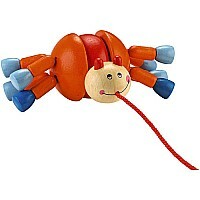 Spielstabil – German sand toys, pronounced Speel-sta-beel – unbreakable, bendable sand and water toys and dishes, etc.